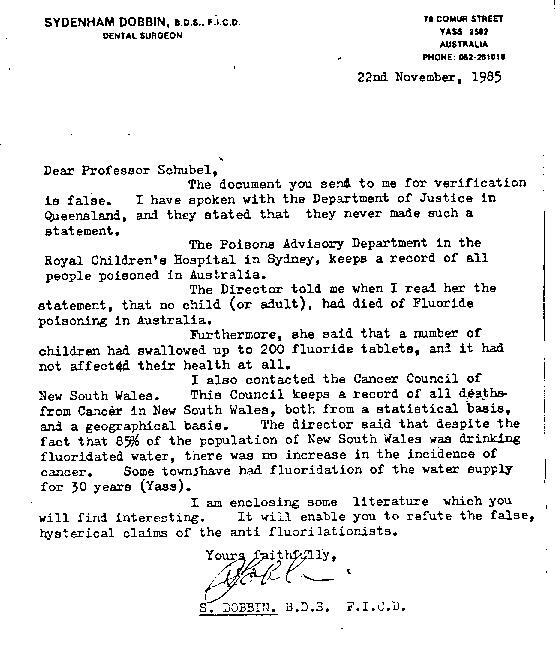 ... yet "authorities" claim no person in Australia ever died of fluoride poisoning. 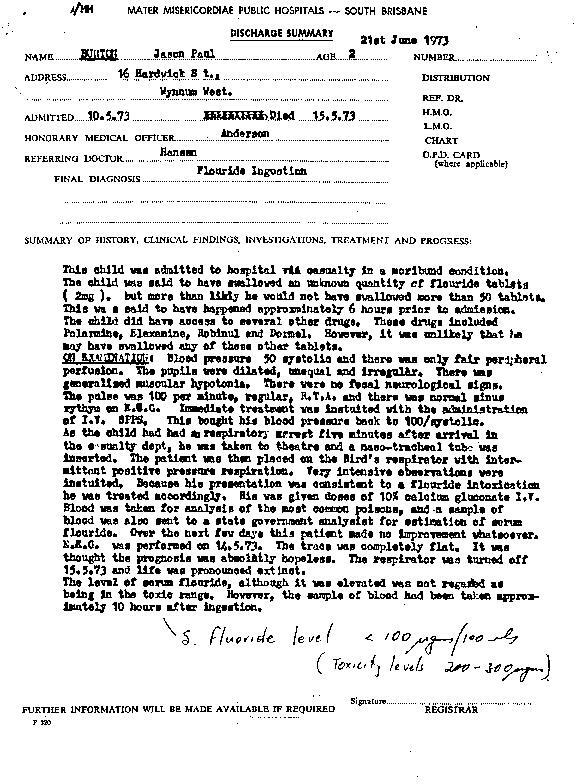 Mrs. Burton said the doctor told her to take Jason down to him and had then given the child a stomach pump. 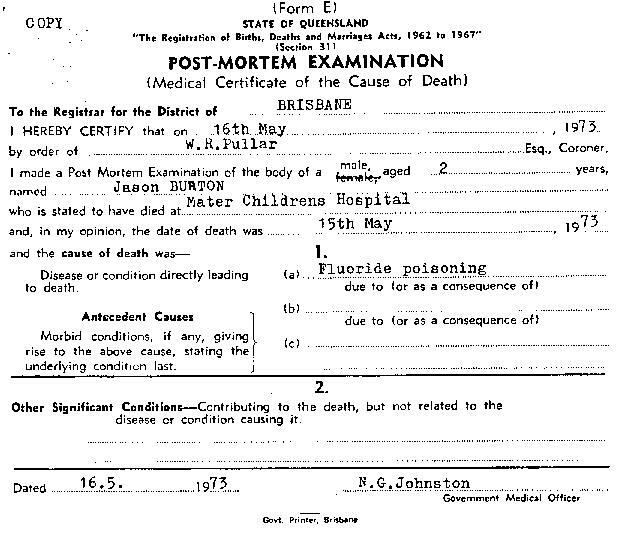 ´I asked the doctor if he had found any fluoride tablets and he replied that he had found four.´ ..."
"The Registration of Births, deaths and Marriages Acts, 1962 to 1967"
No pathological change which could have caused death could be found in any organ at the post mortem examination. 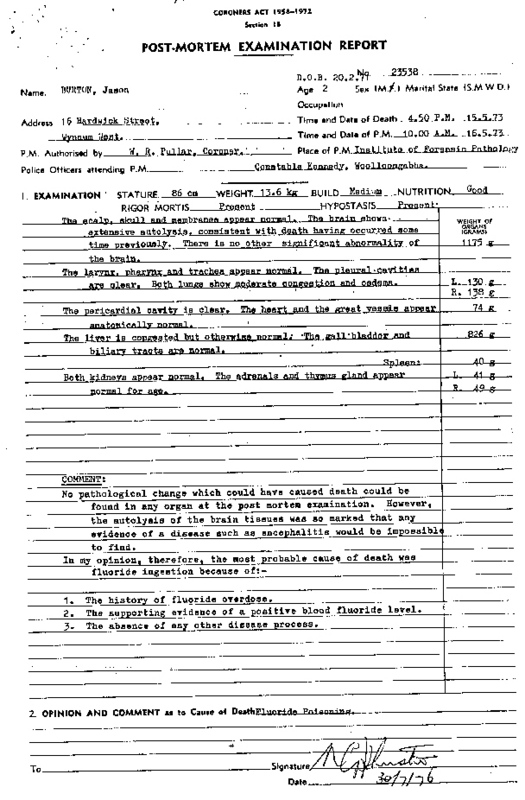 However, the autolysis of the brain tissues was so marked that any evidence of a disease such as encephalitis would be impossible to find.